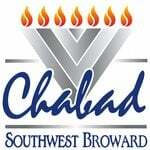 Chabad of Southwest Broward offers non-sectarian and Jewish educational programs, services and events for scholar and novice, affiliated and non-affiliated, observant and non-observant, young and old and everyone in between. Chabad is committed to strengthening Jewish identity, unity and committment. We cannot do this alone. We count on support from people know for their benevolence, sincerity and sensitivity to the needs of all mankind. Chabad accepts donations of cars, in fair or good condition. If you need your vehicle to be picked up we will do that for you at no cost. Please contact us to arrange pickup or Look up the Tax Deductible value of your car here! Dedicate the ChabadTodayFlorida.com website for a month! Share your occasion or mark an event with thousands of fellow visitors. We accept gifts of PC's, office equipment, services and the like. However, due to the ever-evolving electronic marketplace, we need to be sure that the equipment is relatively up-to-date. The cost and futility of handling old equipment usually outweighs the benefit, generously-intended though it may be. Please contact us at RabbiPinny@aol.com to discuss your proposed gift of equipment or merchandise.